Santiago de Chile decline 10 places in the global cost of living ranking and is the fourth most expensive city in Latin America. Study among 133 cities in 93 countries shows a general decline of cities in the region due to the depreciation of their currencies. Buying clothes and footwear in Santiago implies spending 39% of the average price paid for the same in New York. To go out and have a drink in the Chilean capital, you have to pay 53% of what a New Yorker does, while Santiago’s transport is 120% of what is paid in the financial center of the United States. These are some of the conclusions of the new version of the cost of living ranking of cities published by The Economist Intelligence Unit (EIU), the study division of The Economist magazine. The report is based on the comparison of the price in dollars based of 160 goods and services of 133 cities. The general index, according to the EIU methodology, shows that Santiago generally has a cost of living equivalent to 66% of New York. The city that is used as a base of comparison (and therefore has a value of 100). With this value, the Chilean capital is located in position 76 among the most expensive cities in the world, a decline of 10 positions in relation to the ranking of a year ago, when the cost of living in Santiago was equivalent to 72% of the New York. With this movement, Santiago becomes the fourth most expensive city in Latin America – after Mexico City, Montevideo and Guatemala City – and at the same level as Atlanta, the US city. As it is an international ranking, the movements are not produced by the internal perception of each country, but by comparison of international prices, where the exchange rate plays a key factor. “There is a strong contrast between Latin American cities that fall sharply, while those of the US rise, which is explained by depreciation,” says Roxana Slavcheva, editor of the study. “Cities of emerging economies, such as Buenos Aires, Sao Paulo or Rio de Janeiro have fallen in the ranking, due to the sustained loss of value of their currencies.” In fact, these three cities are among the four that were cheaper in the last year, only surpassed by Istanbul, in Turkey, where there was also a currency crisis in 2018. Caracas, for its part, is the cheapest city of the world, after replacing Damascus, in Syria, by reaching a cost of living equivalent to 15% of that of New York. 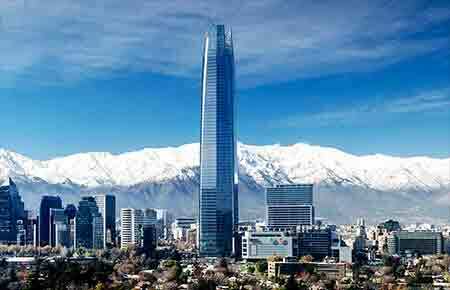 The high volatility also affects Santiago: in 2018, the capital of Chile reached the 66th place in the ranking, after climbing 20 positions. The study is carried out on the basis of the costs of food, beverages, clothing, home, basic services, schools and other goods, with the objective that multinational companies can compare the costs of their human resources and the benefits and compensation packages that. They must perform for their employees and expatriate executives.